A while ago I posted about Tom Whalen movie posters - and have now found another site that produces modern takes on posters as well. Much like the Tom Whalen ones - the posters from Moxy Creative have such an artsy feel that you could easily frame and hang in your home with out feeling like a kid. 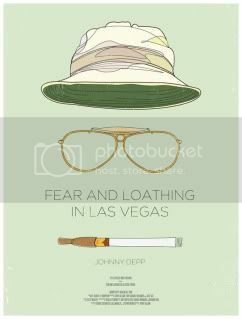 They feature a few of my favorite movies American Psycho and Fear and Loathing in Las Vegas. 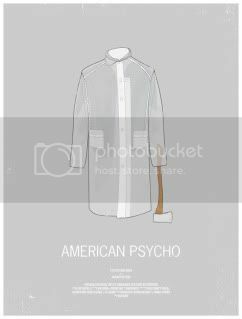 While I'm not sure I'd actually hang up the American Psycho one (maybe a little too "psycho" for my style decor) the Fear and Loathing one is great! The posters are $30 each and Moxy has other posters you should check out too.